Working on your 1993 – 2002 Trans Am and Firebird decals and graphics is easy when you use products and decals from Fbodywarehouse. We offer GM authorized correct reproductions. Decals are printed in the USA via Phoenix Graphix and you will never get a “stale” kit which has been sitting for years on a shelf somewhere. 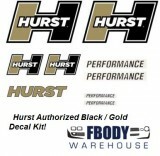 Our decal kits are fresh and ready to install. We also offer a complete line of installation gels, squeegees, and UV protectant to ensure your decal kit lasts for years after application!